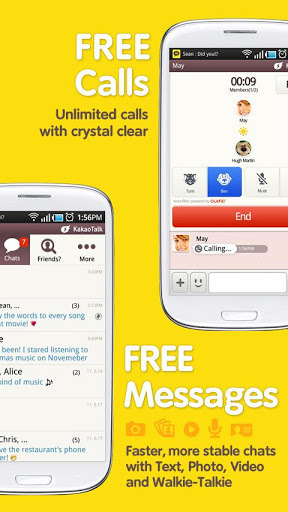 Enjoy highquality free calls anytime anywhere. Voice filters to have more fun talking. WalkieTalkie feature for a quicker message. Talking Tom Talking Bens voice filters are exclusive on KakaoTalk only. Be KaTalk friends with your favorite pop stars. KakaoTalk ID to make friends wo phone number.